Farmers Branch, Texas – June 6, 2016 – Saint James Limoges, Life Coach and Speaker, recently joined a select group of business experts and entrepreneurs from around the world, along with success expert Brian Tracy to co-write the book Your Life: The World’s Leading Entrepreneurs and Professionals Reveal Their Secrets to Ignite Your Health Wealth and Success released on May 19th, 2016 by leading business book publisher, CelebrityPress®. After such a successful release, The National Academy of Best-Selling Authors™, an organization that honors authors from many of the leading independent best seller lists, will recognize Limoges for her contribution. Insurance Agent, Financial Coach, and Realtor with multiple designations. Throughout the years, she has been featured on the Brian Tracy show and has appeared on prominent channels, including ABC, NBC, CBS, and FOX affiliates around the country. In addition to being the creative mind behind “The 90 Day Overhaul”, Dr. Saint James is the proud Founder of Mind -TKO Academy and Mind -TKO Coaching. 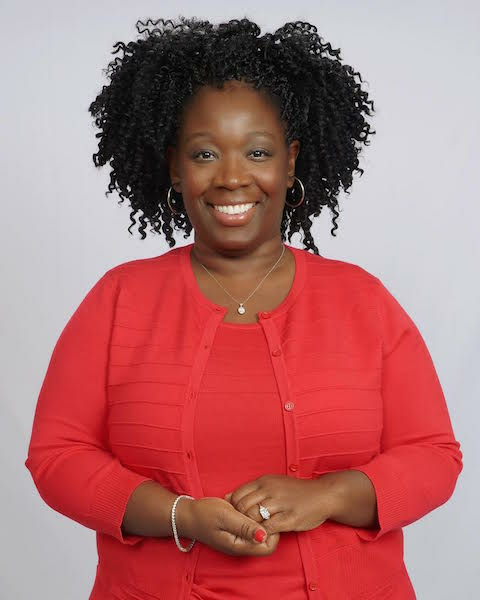 Furthermore, she is an avid writer of numerous self-development articles and has been featured in a multitude of publications. She has been named as a TRENDSETTER in Fortune magazine, and been featured in USA Today, as well as YAHOO! Finance, Wall Street Journal’s MarketWatch, and over a hundred other media outlets. Dr. Saint James is an author and speaker. She has also been featured on America’s PremierExperts in Life Coaching. Dr. Saint James’ primary passion is to help others unleash their limitless potential and create the life of their dreams, all while overcoming challenges and improving the overall quality of their lives. When she’s not immersed in her diverse career, Dr. Saint James loves to read great books. (She has read over 5,000 to date.) Most importantly, she enjoys traveling, cooking, hanging out at the beach and spending quality time with her family. Dr. Saint James is happily married to her husband Johnny and together, they are the proud parents of five sons. Whether you’re looking to earn more money or would like to re-invent yourself, Dr. Saint James is your go-to Life Coach and Speaker. For more information, please visit: www.MindTKO.com.